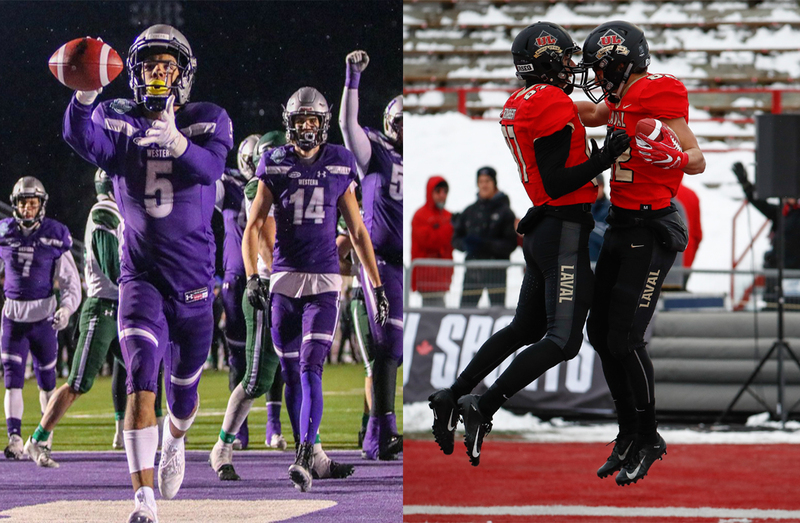 For the second straight year and the third time in history, the two most decorated programs in Canadian university football annals will battle for U SPORTS supremacy. 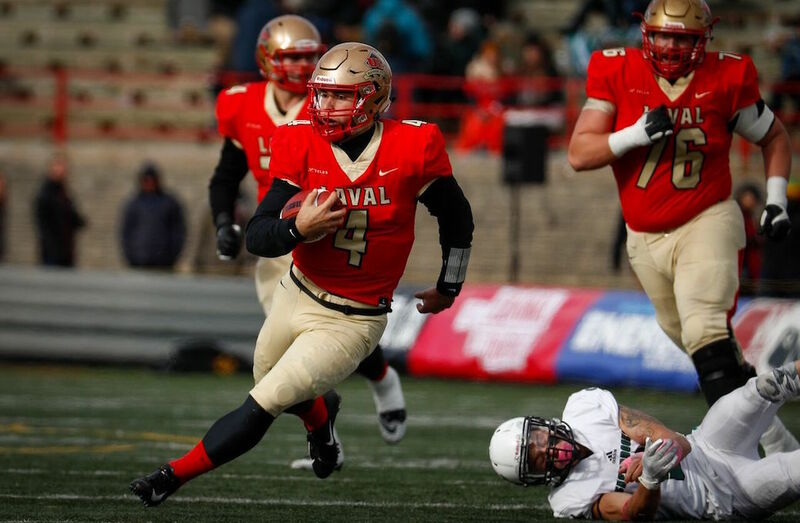 The stage is set for the 54th Vanier Cup, presented by Promutuel Insurance, Saturday in Quebec City. Kickoff for the national final between the Laval Rouge et Or (11-0) and the defending champion Western Mustangs (11-0) is set for 1 p.m. Eastern (10 a.m. Pacific) at TELUS-UL Stadium, which first welcomed the fall classic in 2009 and is now a five-time host venue. Television coverage on Sportsnet 360, Sportsnet ONE and TVA Sports gets underway with pre-game shows at 12:30 p.m. ET (9:30 a.m. PT). The broadcast is also available online through Sportsnet NOW and TVASports.ca. Last fall in Hamilton, the then second-ranked Mustangs were the contenders going into the heavyweight bout but managed to dethrone the top-ranked and defending champion Rouge et Or in convincing fashion, dominating from the opening whistle en route to a convincing 39-17 triumph and their first national title since 1994. The roles are now reversed for the much-anticipated rematch. Ranked No. 1 since the start of the campaign, Western comes into the duel riding an impressive 23-game win streak dating back to the start of the 2017 schedule, only two shy of the all-time mark held by Laval (2012-2014). Fresh off a hard-fought 47-24 defeat of Saskatchewan in the Mitchell Bowl – a game that was tied at halftime – the Mustangs are making back-to-back Vanier Cup appearances for the first time since 1994-1995 and hope to repeat as national champions for only the second time in their storied history, more than three decades after they first accomplished the feat in 1977. Meanwhile, the Rouge et Or, seeded No. 2 all season, are making their third consecutive trip to the title match following a 63-0 drubbing of StFX in the Uteck Bowl. 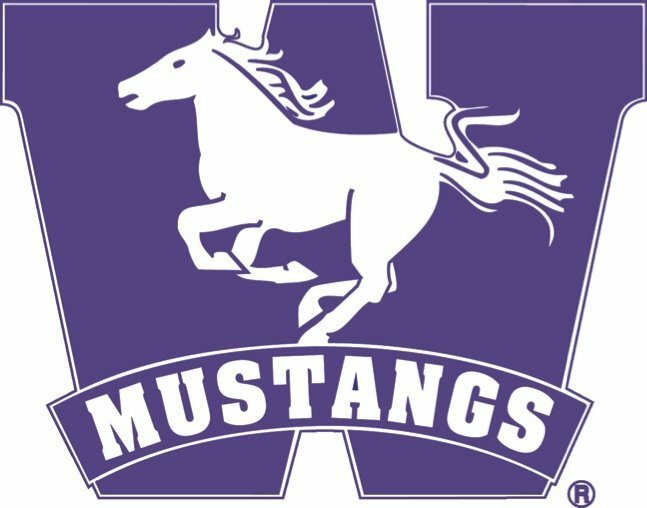 Their heartbreaking loss to the Mustangs 12 months ago was preceded by a victory over Calgary in 2016, which marked their record ninth conquest of the national banner, two more than their closest competitor, Western. For only the fifth time since the inaugural Vanier Cup in 1965, the championship match features two undefeated teams. With a win, Western would become the first-ever program to record back-to-back unblemished seasons. A year ago, the Mustangs triumphed in their backyard, a short 90-minute drive from London. 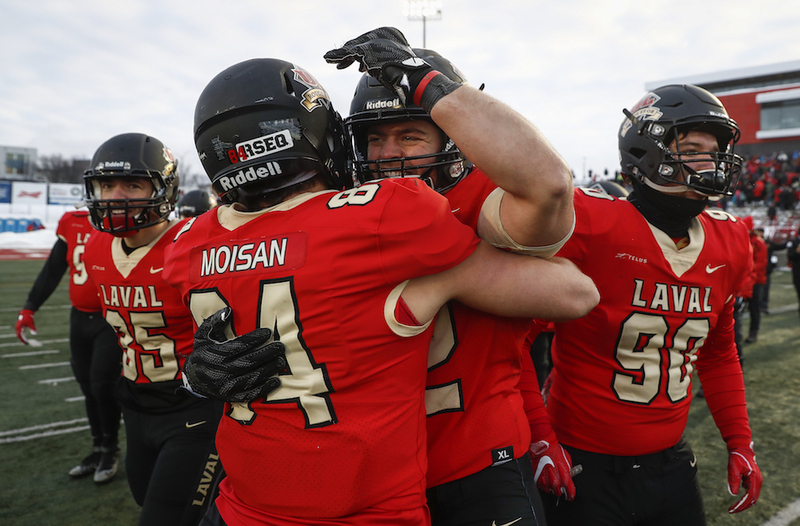 On Saturday, the Rouge et Or get to play in front of their raucous home crowd at TELUS-UL Stadium, where they are a combined 10-0 lifetime in national Bowl games and Vanier Cup finals. Let’s get ready to rumble, again! 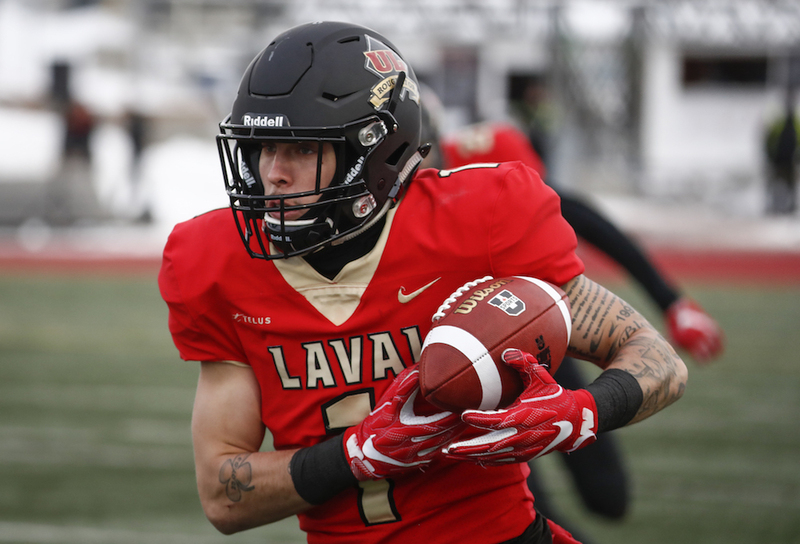 In the Laval camp, coaches and players have been waiting a whole year for another shot, and they make no secret who they were cheering for in last weekend’s Mitchell Bowl. Constantin’s leaders on offence and defence - fifth-year quarterback Hugo Richard and fourth-year defensive end Mathieu Betts - are also thrilled about the rematch. “We wanted to play Western again in the final. We struggled against them last year so we’re happy to have another chance,” says Richard, who earned RSEQ player-of-the-year honours for the third time this fall and was named Uteck Bowl MVP after throwing five touchdown passes in just over two quarters of action against StFX. “Everyone agrees that this is the ideal scenario. Two undefeated teams meet in the final. The team that wins on Saturday will have earned it,” adds Betts, voted the nation’s top down lineman each of the past two years and among the finalists once again this season. For Richard and Betts, nothing beats playing for a national title on home turf, especially for senior players. The excitement is also obvious on Western’s side, combined with the added challenge of defending their crown in enemy territory. Running back Cedric Joseph, who has scored a ridiculous 18 touchdowns in seven playoff games going back to last year, and defensive back Mackenzie Ferguson, the OUA nominee for the prestigious Russ Jackson Award, can’t wait to step on the TELUS-UL Stadium turf. It would be easy to categorize Saturday’s contest as a classic matchup between Western’s high-flying offence and Laval’s suffocating defence. After all, the Mustangs led the country in scoring for the fourth straight year in league play (48.0 points per game), had the nation’s top-rushing attack for the second consecutive campaign (271.6 yards per game) and finished second behind Calgary in total yards (556.9 per game). Over their first three playoff confrontations, they averaged 49.7 points. 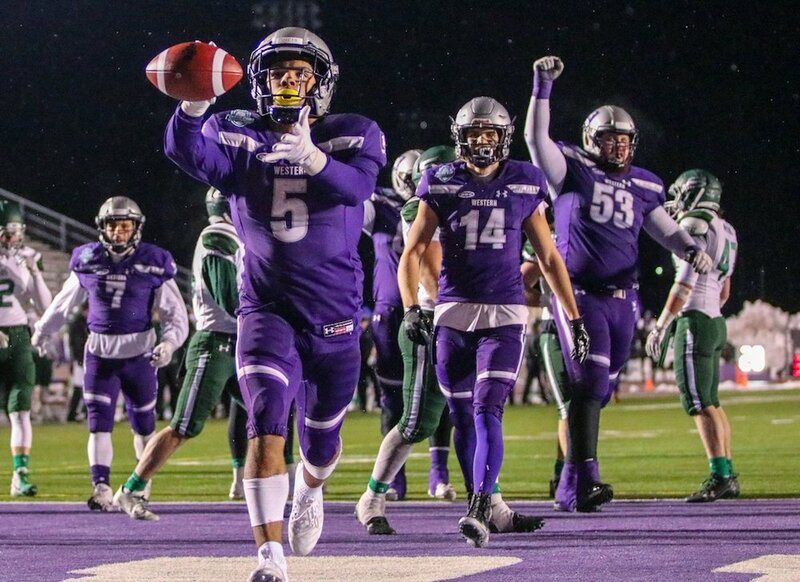 In addition to Joseph (U SPORTS leader in rushing TDs each of the past two years), Western’s innumerable weapons on offence include quarterback Chris Merchant (2017 Vanier Cup MVP), running back Alex Taylor (school’s all-time leading rusher), receiver Harry McMaster (11 catches, 152 yards, 2 TDs in Mitchell Bowl), as well as OUA all-star linemen Dylan Giffen, David Brown and Grégoire Bouchard. On the other side of the ball, the Rouge et Or led U SPORTS in fewest total yards (192.3 per game), passing yards (123.9) and rushing yards (68.4) conceded during the regular schedule, while trailing only archrival Montreal in fewest points against (6.8 per game), marking the 11th straight year they placed first or second in the country in points allowed. Somehow, they’ve managed to step it up another notch in the post-season, holding their three opponents to only one point – combined! The stars of the stingy unit include Betts (U SPORTS-leading 9 sacks and 14 tackles for losses in only 6 league games), tackle Vincent Desjardins (second in the country with 13 tackles for losses), linebacker Adam Auclair (2017 U SPORTS defensive player of the year) and defensive back Émile Chênevert (second in RSEQ with 4 interceptions). Western’s defence and Laval’s offence are no slouches either, however. Led by linebacker Fraser Sopik, this season’s OUA defensive player of the year and the 2017 Vanier Cup defensive MVP, the Mustangs were the best in Ontario in conference play in fewest points (11.1), total yards (279.6), passing yards (184.8) and rushing yards (94.9) allowed per contest. Led by Richard and receiver Vincent Forbes-Mombleau - the RSEQ rookie of the year who had three TD catches in the Uteck Bowl - the Rouge et Or finished third in the nation and first in Quebec in scoring (38.4 points per game) and also topped their conference in total yards (451.8) and passing yards (301.6) per game. The Mustangs know repeating as Vanier Cup champs is no easy task. There’s a reason the feat has only been accomplished five times over the past five decades, first by Manitoba (1969-1970) and then by Western (1976-1977), Saint Mary’s (2001-2002) and Laval, twice (2003-2004 & 2012-2013). Greg Marshall and his troops also know trying to do it against Laval, in Quebec City, represents the ultimate challenge. No program has ever defeated the RSEQ powerhouse on the national stage in back-to-back seasons. The Saskatchewan Huskies gave it a decent try, edging the Rouge et Or 29-27 on home turf in the 2005 Mitchell Bowl but coming up just short in the rematch, a 13-8 decision in the 2006 Vanier Cup, also at Saskatoon. So did the McMaster Marauders, who outslugged Laval 41-38 in overtime in the 2011 national final at Vancouver, before losing the second round 37-14 a year later in front of a Vanier Cup-record crowd of 37,098 at Toronto’s Rogers Centre. So, who will be left standing following Saturday’s duel at the top? Will it be the Mustangs, adding an eighth Cup to their trophy case and closing to within one of Laval’s record tally? Or will it be the Rouge et Or, capturing No. 10 in only their 23rd year of existence? The answer around 4:30 p.m. ET. 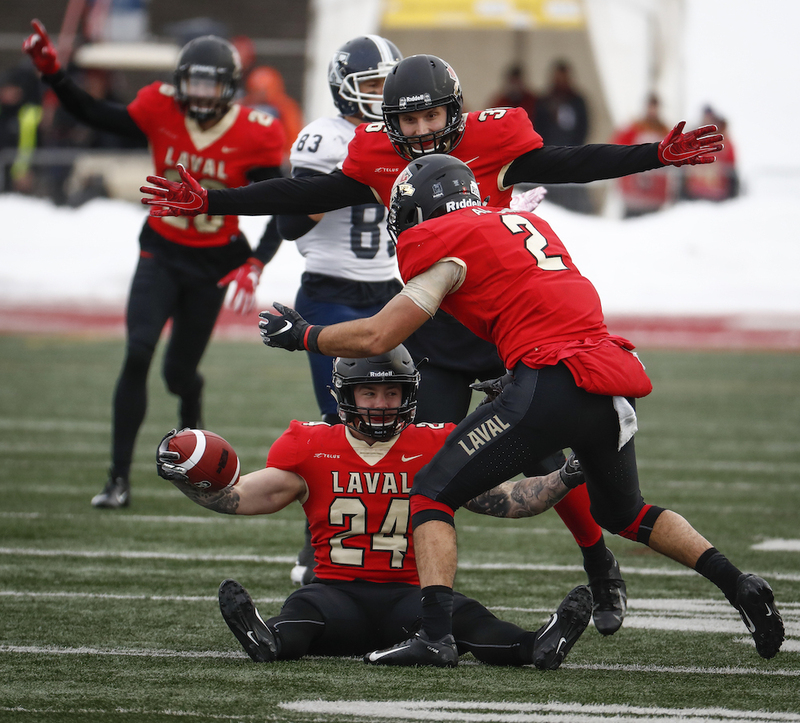 NOTES: Prior to last year’s national final, Laval and Western had met twice in official competition, with the Rouge et Or prevailing 13-11 in the 2010 Uteck Bowl (Quebec City) and 44-21 in the 2008 Vanier Cup (Hamilton)... The two programs also battled in preseason action every year from 2007 to 2009, each time in Quebec City, with Laval winning 22-2, 37-9 and 27-0... Previous Vanier Cup finals between undefeated teams include 2013 (Laval 25, Calgary 14), 2005 (Laurier 24, Saskatchewan 23), 1986 (UBC 25, Western 23) and 1966 (StFX 40, Waterloo Lutheran 14)... Including this year, Western (14) and Laval (12) rank 1-2 all-time in Vanier Cup appearances.